GOSH!ABOUT: DAMN!!! KENDRICK LAMAR Rang The Church Bell – GOSH!About: Fashion. Art. Music. Events. TV. Non Profits 'N' Lifestyle > Subscribe now! OMG! Kendrick Lamar, and if you have never heard his name, please go hide under a pillow, because we will come after you! Kendrick Lamar, born in Compton, CA, is an American Hip-Hop Artist and Songwriter. He began his musical career as a teenager under the stage name K-Dot, releasing a mixtape that garnered local attention and led to his signing with indie record label Top Dawg Entertainment (TDE). He began to gain recognition in 2010, after his first retail release, Overly Dedicated. The following year, Lamar independently released his first studio album, Section.80, which included his debut single, “HiiiPoWeR”. By that time, he had amassed a large Internet following and collaborated with several artists in the hip-hop industry, including The Game, Snoop Dogg and Busta Rhymes. His major-label debut, good kid, m.A.A.d city, was released in October 2012 by TDE, Aftermath and Interscope Records to critical success. It debuted at No. 2 on the US Billboard 200 chart and was later certified platinum by the Recording Industry Association of America (RIAA). Let’s get into DAMN. Did you watch the review? DAMN, has got to be in your pocket, in your car, truck, boat, office, in your bedroom. 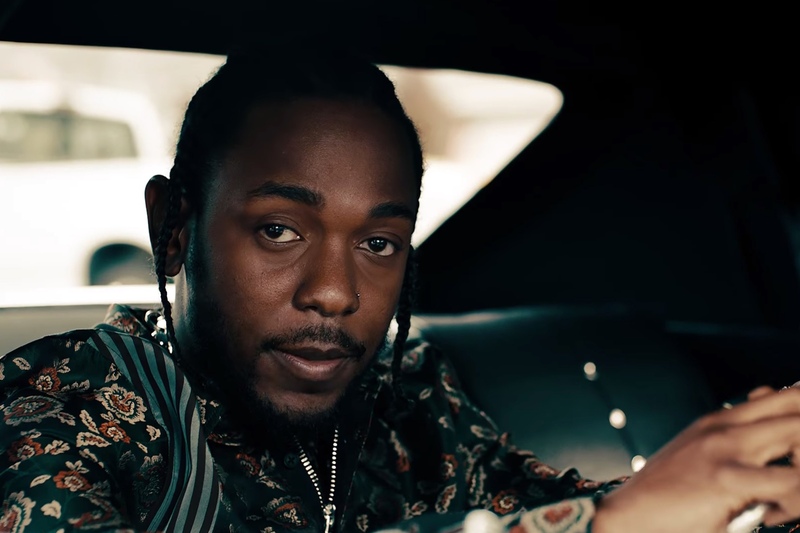 Kendrick has truly risen into his artform as an Artist, as a Poet and as a Storyteller. The process he takes into each song is truly a mastered craft he has designed and owns. The play on words on this album, his creative lyrical content to tell each story is very visual, that you don’t need a video to get it. That’s how good he is! The song I gotta break down is GOD. One word, Powerful. Laughing to the bank, like AH HAA! This what GOD feel like… When he was a young boy wanted to be a gunman and his play was riding his bike on the streets. Very young doing very grown men things, a very crazy lifestyle for a young boy at his age- which mirrors the lives of many young black boys across the US. But the freedom in it is like GOD. But because that’s his past, to not judge him by his past actions, to see he has moved on from those particular ways. ” My Heart is Rich. My Heart is Famous. This is what GOD feel like. He has risen up, can handle things better, his success is like gold, but even with all the hate that comes his way, he kills them with kindness. This what GOD feel like!